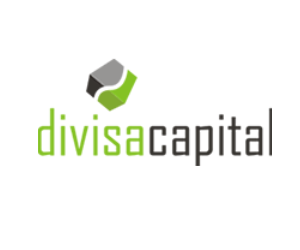 Mushegh Tovmasyan has left his role as Director of Alpari to become CEO of Divisa Capital Group LLC, on the heels of the recent recruitment of Norbert Lukasiewicz as the prime of prime specialist. In an exclusive interview to “Meet The Experts”, Mr. Tovmasyan explains the fundamental impetus behind this move, as well as the future direction the firm is headed to. “We are going after aggressive growth”, states the Forex industry leader and veteran, who claims that his renewed focus on Divisa will soon culminate in a number of exciting new prospects, platforms and developments. His exclusive interview can be read here. 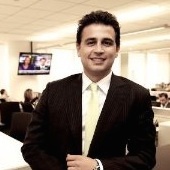 Mr. Tovmasyan’s decision follows Norbert Lukasiewicz joining Divisa Capital from Integral earlier this month. The two will be instrumental in helping to expedite a variety of new initiatives for the B2B realm. Prior to joining Integral, Mr. Lukasiewicz was an individual trader and later joined Alpari UK as a retail FX broker in 2008 in the firm’s marketing department, and later became the product development manager. Mush is my hero (irony). This was probably the plan all along: leave Alpari and take Clients with him to Divisa which he owned while at Alpari. This is the most SHOCKING news I have ever heard!! Interesting that mush talks of conflicts of interest in his interview. Very pertinent! How big is Divisa? Are they still “regulated” in NZ? Sounds like a step backwards, career-wise. …when the house of cards around you starts to crumble; its on to bigger and better (sic)!